I’m guessing that this Model T is a 1920. The driver was waiting to pull out onto Corrales Road as I drove out of the post office parking lot this morning. 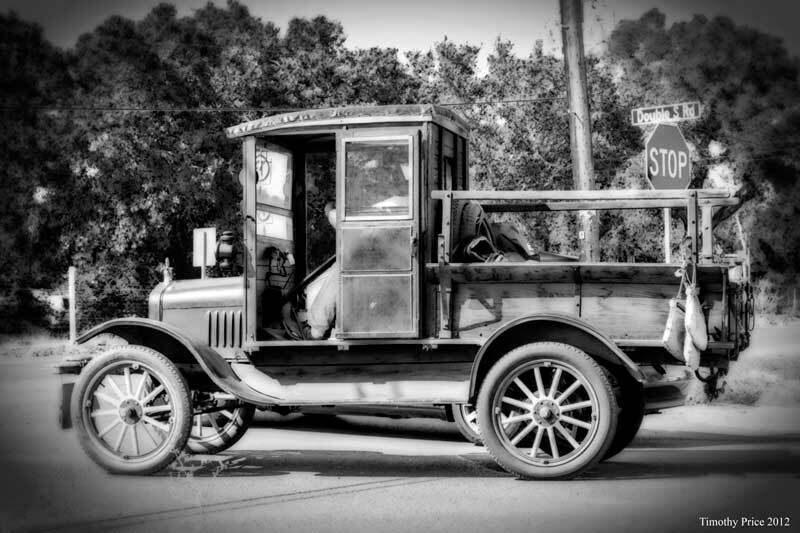 I tried to make my photo look like what a photograph taken in the 1920’s might have looked like, but the road signs and glimpse of the wheel of another car waiting on the other side of the Model T give away the real time and place.